Importance of oral health is big even if you're little. Invisalign, growth guidance & traditional braces. Ask your dentist about obstructive sleep apnea. 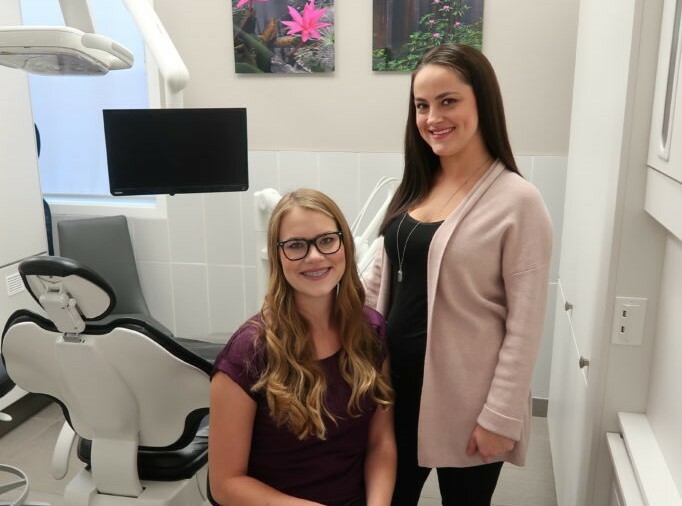 Dr. Miranda Lucht and Dr. Megan Lucht are general dentists who provide a wide range of general dental services at Montrose Dental Care in Beaumont. Whether you require a new patient exam, emergency care, extraction, root canal therapy, crown or bridge restoration, implant restoration, teeth whitening, dental sleep appliance, TMD treatment, dental cleaning (hygiene appointment), periodontal therapy or are interested in early interceptive orthodontics, Invisalign or bracket orthodontics our dental team is pleased to assess your needs and assist you. Our administrative team is ready to help with questions about scheduling, financial policy, direct billing, insurance and dental financing to make the financial aspect of treatment as simple as possible. We are accepting new patients and welcome every member of the family.